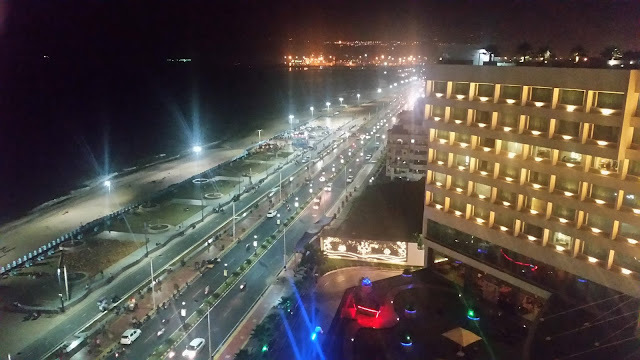 The influence of the French on the local recipes of Pondicherry is visible in many other ways. Vinegar is widely used here as a souring agent much more than tomatoes or tamarind. The uses of spices are significantly less compared to other Tamil food, though frequently the curries use coconut milk as a base. Other highlights are the use of chicken or seafood stock in cooking and the appearance of baguettes amidst local desserts. 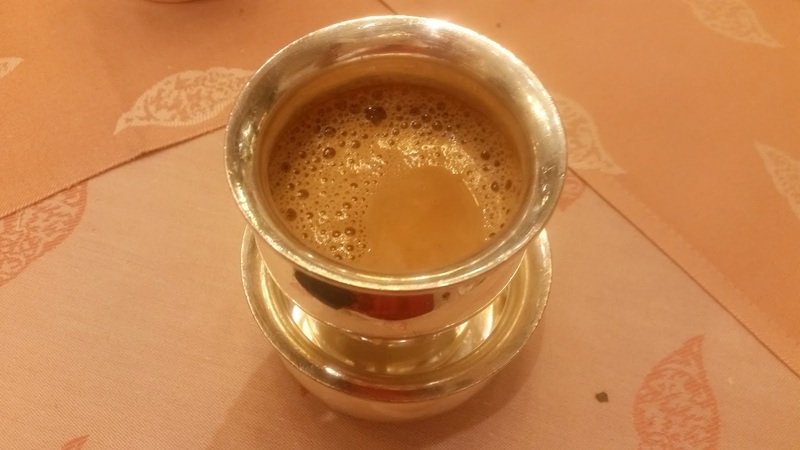 Dakshin at ITC Kakatiya is easily the best South Indian restaurant in Hyderabad. Their regular menu has dishes with exclusive recipes from the four southern states. 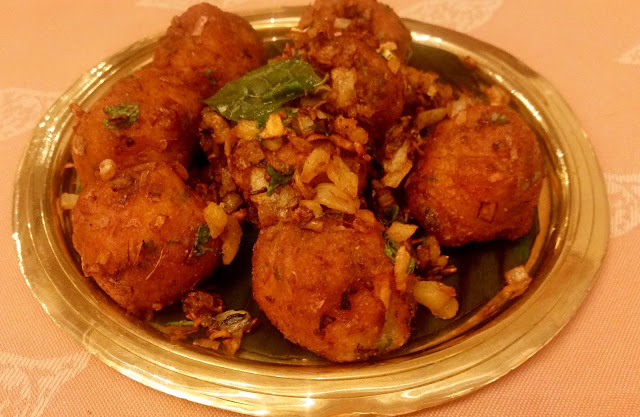 However, the promotions which are organized by Dakshin often delve deeper into food from a particular state or a region in it. 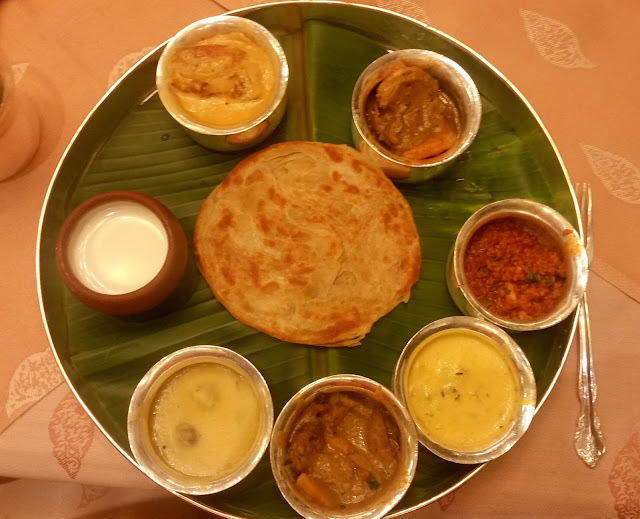 After a successful festival of Tamil Brahmin cuisine of Mylapore last month, it is now time for a Franco-Pondicherry Food Festival here at ITC Kakatiya. Chef Pavan of Dakshin who has curated this festival has utilized his rich experience in working at Pondicherry a few years back. We started our preview of this festival with Meen Puyabaisse. The seafood soup had small chunks of boneless murrel fish, and a distinctly fishy flavour. The dish is the localized version of Bouillabaisse, a seafood broth from coasts of France. The starters included Urlai Kola Urandai, a potato dumpling. Mashed potato had been mixed with diced onion and green chillies as well as select spices and then fried, with a final sautéing in masala. Kassa Kassa Kola Urandai used mutton mince, but here the dumplings tossed in poppy seeds were far spicier. 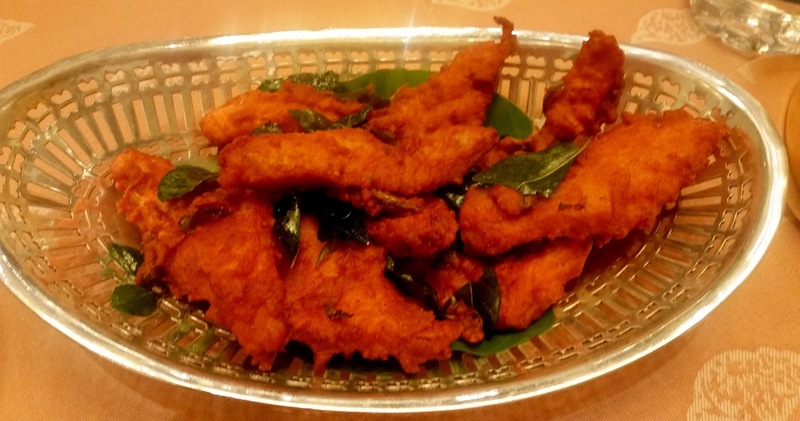 Masala coated fish is another popular recipe from the state, which was being showcased here. 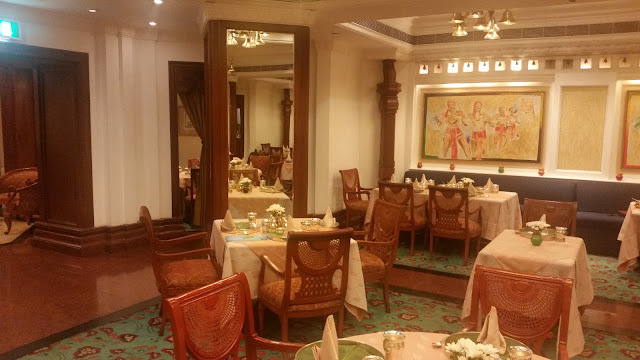 The promotion has options of vegetarian, non-vegetarian and seafood thalis. We were served select delicacies from each thali. 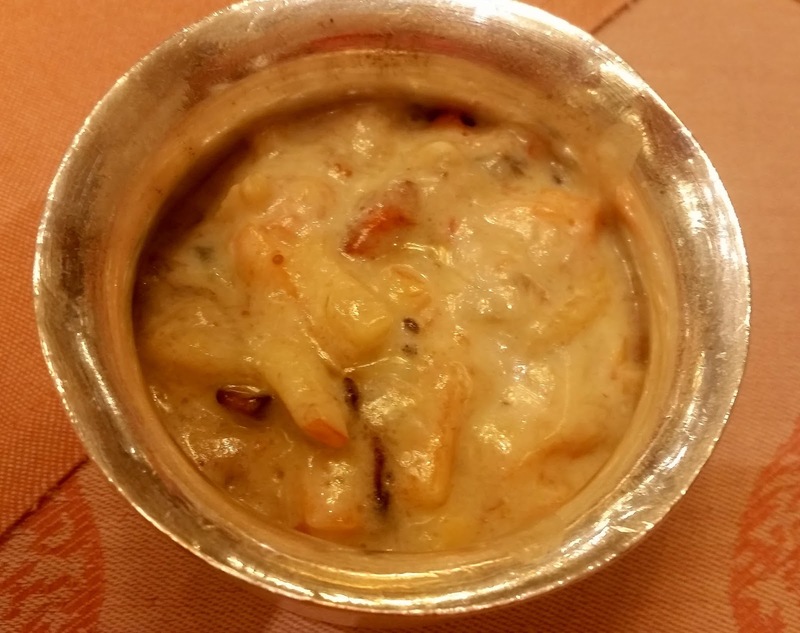 The highlight for me was Yeral Vindail, a prawn curry with coconut milk and vinegar. Executive Chef Paul Noronha was sharing that the cuisine of Pondicherry has influences from Portuguese food also, and I was wondering if the name of this dish had anything to do with vindaloo. The combination of coconut and vinegar in this gravy made the dish a winner with some appams fresh from Iyers Trolley. 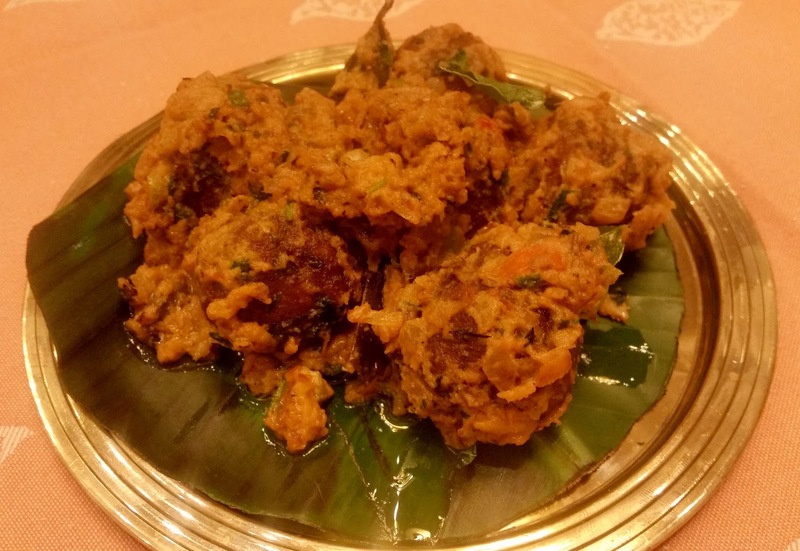 Kothina Kari Pulliperattal was a kheema preparation in red chillies and tamarind. We were served a large Veechu Paratha in the thali, and this was a perfect foil to the minced meat preparation. There was also Meen Inji Curry, a ginger flavoured gravy of fish. We were also served some Chicken Pulav from the area, which was flavourful with subtle use of spices. Of the vegetarian dishes Keerai Kari, a dry preparation of amaranth in coconut went well with rice. Vendaikai Thair Curry showcased a curd based preparation of bhindi. The best of the vegetarian dishes was Markari Theeyal, a tamarind and coconut based gravy of drumsticks which had raw mango in it. 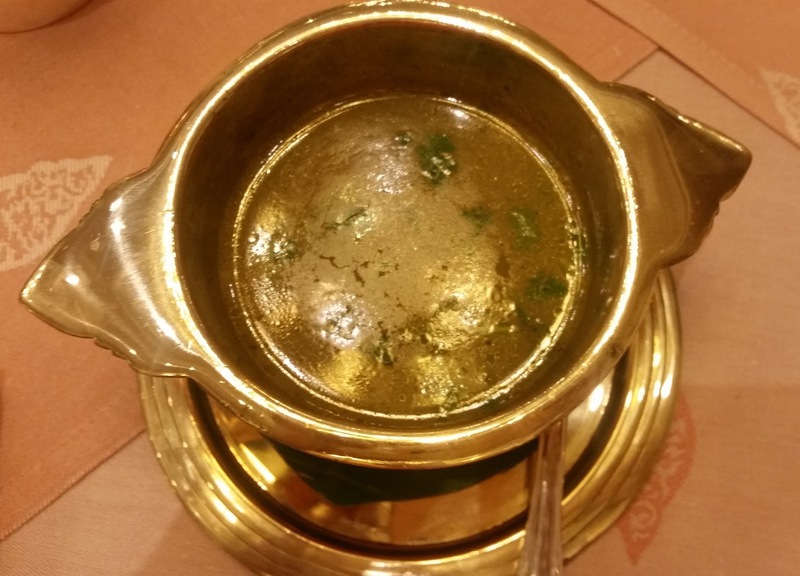 The rich and tangy gravy was extremely tasty both with rice and appams. The dessert served was milk based with abundant fruits and nuts in it. As is usual at Dakshin, we had the best Filter Coffee to end the meal. A look at the festival menu revealed some other interesting dishes. COQ curry, an eggplant based recipe from the region is quite well known. Langouste Curry (mild spiced lobster) and Sudal (quail) looked interesting. The dessert list had Puttarisi Halwa (a rice and wheat dessert), Pondicherry Cake and Coconut Baguette. Dakshin has again pulled out a winner for lovers of South Indian food. The promotion will be on here for both lunch and dinner till 2nd September.